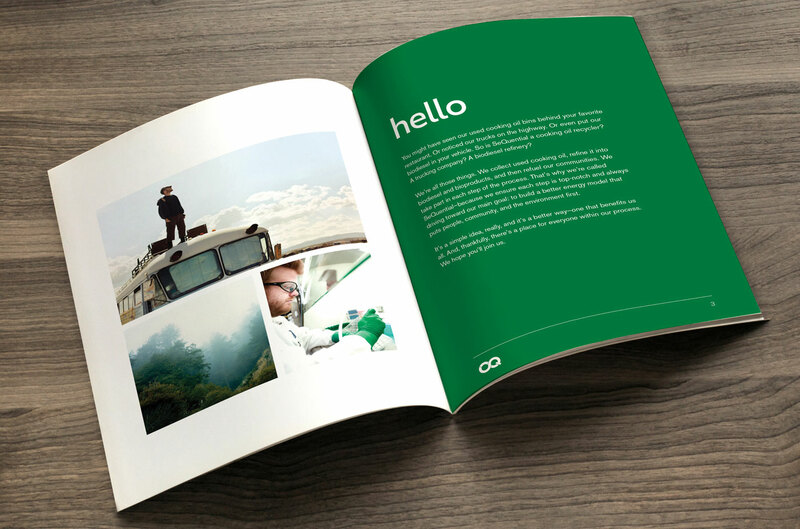 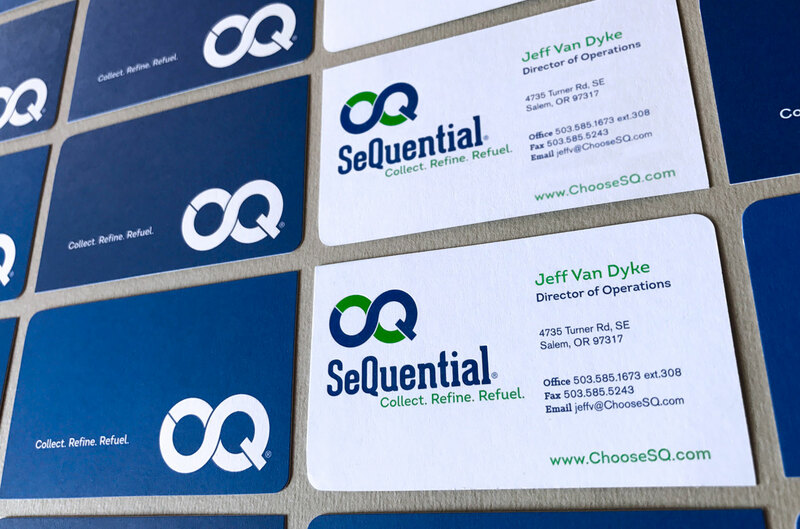 Sequential – Flint Design Co.
Great brands connect with people first. 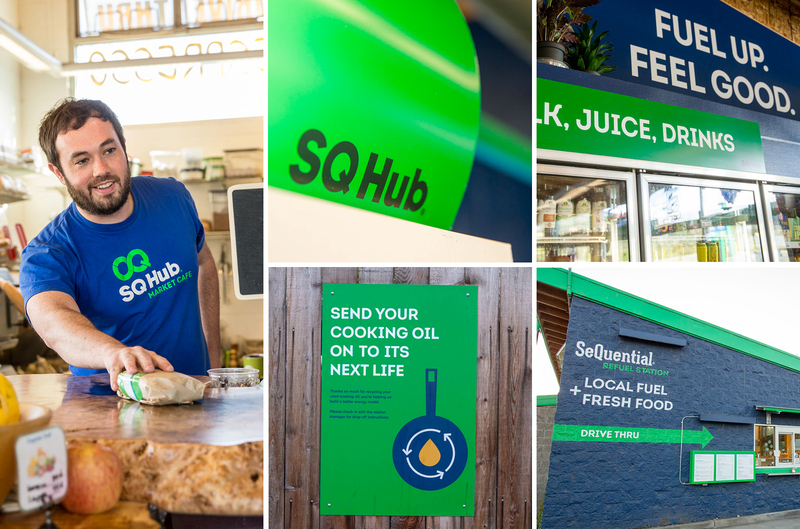 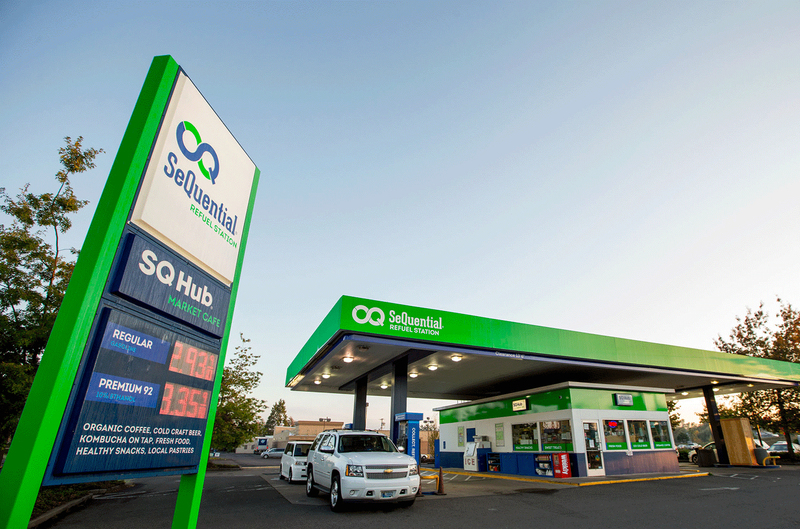 To help SeQuential (Oregon’s first biodiesel maker) communicate their rapid expansion into oil collection, refining, and fuel stations, we knew we’d need to help them express what makes their business most unique to the vastly different audiences they’re serving—and how they’re everything big oil isn’t. 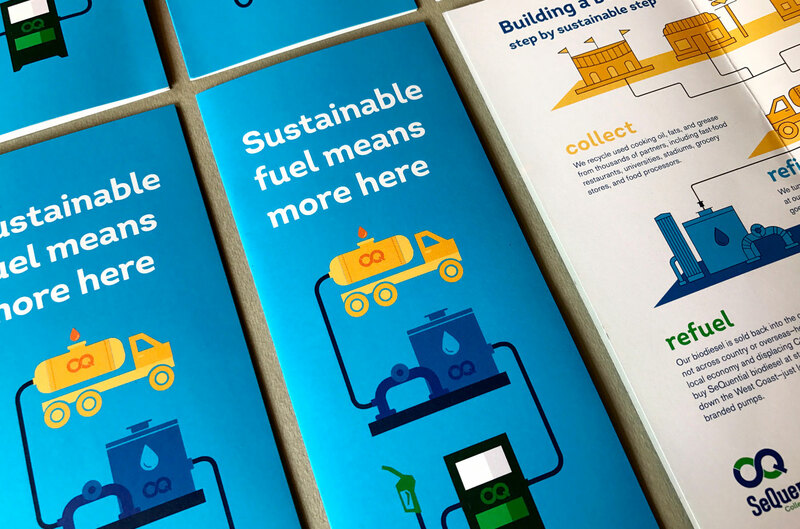 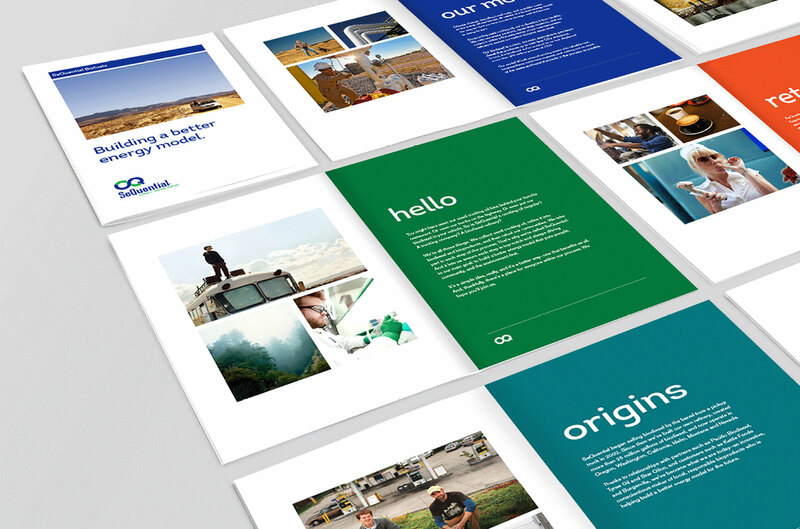 Inspired by real connection, SeQuential’s commitment to re-use, and bold re-thinking about where we all get our energy, we looked to create a symbol that was familiar, but also suggested another, better path. 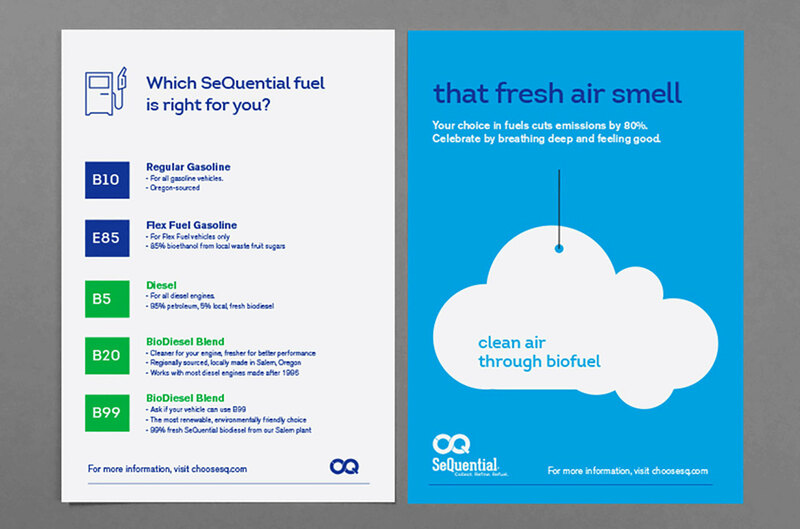 The result: A clean logo that leaves the hippie image of biodiesel in the rearview and visually places SQ on the same plane as their multinational competitors, along with a brand system that helped each division of the company fall under a single brand, yet have their own identities.